During my tenure working in Christian bookstores, it was common for me to meet new Christians who wanted a Bible but didn’t know where to start. In many of these instances, someone had been faithful to personally share the gospel with a new believer. The evangelist had fallen short, however, in helping the person actually get connected to God’s Word. Churches can help bridge this disciple-making gap by training members on how to help people find and get familiar with their first Bible. It’s a skill that’s especially needed in today’s internet-driven society where a myriad of Bible options can easily overwhelm new Christians. Here are three questions I used as a Christian bookstore manager to train my employees on how to connect people to the right Bible. These questions are gleaned from Bible-training programs provided by Bible publishers and can be incorporated into churches’ evangelism-training classes. 1. Who is the Bible for? The answer to this question should go deeper than the mere name of a person being discipled. A Christian should take time to get to know the person they’re mentoring. Is this person churched or unchurched? Did they grow up in a culture that makes them familiar with biblical verbiage and themes? Do they enjoy reading or do they find it a chore? What types of other literature do they currently read? These questions can help steer a conversation toward a Bible that’s best structured to meet a person’s individual needs. For example, if a person is unchurched but really enjoys reading, they might benefit from an expansive study Bible that expounds on difficult passages, biblical words, people, and places. 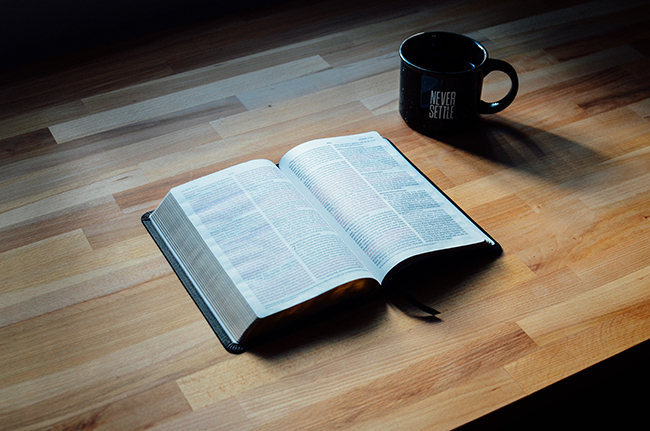 If the person is not much of a reader, however, and is more accustomed to scanning blogs than books, they might appreciate a devotional Bible with a built-in Bible-reading plan that divides Scripture into daily, digestible portions. It’s also important to take into consideration a person’s age, learning style, and level of maturity. A five-year-old and a fifty-year-old are going to have different needs when it comes engaging Scripture. It’s true the Word of God doesn’t change. However, ascetic and supplemental qualities of a Bible such as typeface, layout, and study notes can go a long way in determining how easy it is for new Christians to engage Scripture. 2. How will the Bible be used? Once you feel you know a person well, the next question to ask deals with how you see them using a Bible. Hopefully yes, but there are several other things to keep in mind. Consider someone who’s a parent of young kids. 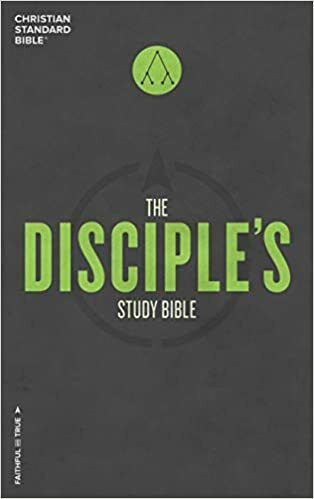 While you may want to bless them with a copy of the same 2,500-page study Bible you personally enjoy, such a hefty volume isn’t going to be helpful for them to carry into church while also cradling a baby carrier and diaper bag. Likewise, chronological Bibles are quite popular nowadays. But you wouldn’t want to recommend one to someone who will be using their Bible to look up references in church or during Bible study since chronological Bibles break up the cannon into a linear narrative. For such reasons, you may want to recommend two versions of the Bible to new Christians—one for home reading and study and the other for taking on the go. Physical and digital Bibles complement each other nicely in this way. 3. What translation will serve this person best? I’ve even heard some people throw together made-up acronyms—like the KSV—in the hope they’ll land on an actual translation and not look uninformed to the person asking. Starting a conversation by asking about translation preference can put people who don’t know much about translation philosophy on the defensive. Instead, consider talking to them about the Bible translation you use or that your church uses. The latter will help new believers stay focused when reading along during a sermon. Also, revisit the first two questions. Although my last two churches both used formal word-for-word translations in their public gatherings, I chose to buy my seven-year-old twins Bibles that landed more on the dynamic, thought-for-thought side of the translation spectrum in order to match their reading level. Click image to enlarge the translation comparison chart. Translation philosophy is extremely important and can be a great topic to cover in a Bible study class. It makes for a confusing subject, however, to begin with when first introducing people to God’s Word. Start by asking questions about the person and his or her plans to use the Bible. End by discussing translation. I know many churches that offer classes designed to teach Christians how to share their faith, but I’ve never known a church to offer a class that teaches believers how to help people find their first Bible. Could this be something your church takes the lead in doing? Consider using the above three questions as a template for equipping your members to effectively draw new Christians into the Word of God.